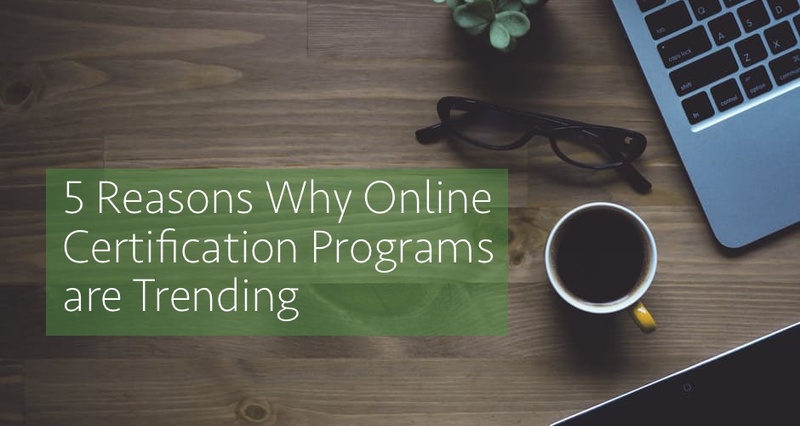 Online Certification Programs are changing the world. They are clearing the pathway down a road that so many did not think was possible, a convenient and resourceful way to change their future. These programs place so many opportunities at just one click away, allowing thousands of people around the globe to achieve something that was once impossible. Organizational Development (OD) is a field dedicated to expanding the knowledge and effectiveness of people to accomplish more successful organizational change and performance. The Institute of OD has been offering online certifications for more than 12 years to help OD professionals gain the experience needed to excel in the field of OD. We’ve made a list of the 5 reasons why our Certification Programs are a current trend in the field OD. It’s How Easy? Online classes are a convenient, timesaving, resourceful way to continue your professional development. Our programs meet three hours per month over a time period of eight months, giving even the busiest individual plenty of time to balance their plate. Students have the opportunity to learn valuable OD models that will help businesses overcome critical challenges, all without ever leaving the comfort of their homes. We are Giving you our Toolbox! Our online certifications provide participants with valuable OD applications, tools, processes, guidelines, and resources to advance your career in the field of OD, Talent Management, and Leadership Development. IOD Founder, Dr. Nancy Zentis and her team of expert facilitators are dedicated to the field of OD and are up-to-date with research and methods. Offering a variety of OD certification programs in the areas of Organization Development, Talent Management, Executive Coaching, Leadership Development, and the OD Process Consulting. Through online programs, webinars, facilitation skills, and re-certification courses, it is now easy for the global audience to learn pertinent OD skills at their own pace and to begin enhancing their careers. It Gives You an Edge. Gaining a professional certification helps develop the skills you need to transition from a generalist role to a professional level and provides you with advanced knowledge and expertise needed, while giving you an edge over other applicants when applying for new positions. Everyone has a white rabbit to chase, but it isn’t so easy fitting down that rabbit hole. Not everyone is born with the ability to communicate in a professional environment or even with the confidence to express an idea out loud. IOD is here to offer a hand when finding your way down that rabbit hole. In other words, when someone signs up for an online certification program they are given a step-by-step path guaranteed to help them in their career development. The one thing nobody has enough of? TIME! Most college programs can take up to four years to complete, you can complete an online certification in less than eight months! Our faculty has over 25 years of experience in the field of OD. Institute of OD’s online certification places you face-to-face with your professor, offering you their expertise and guidance to implement OD practices immediately on the job.